Brett and Jake’s absolutely magical La Jolla Beach and Tennis Club wedding took place last October. We had coordinated the wedding of one of Brett’s friends, and developed a great rapport over the phone. We were finally able to meet in person this last February, and it was raining buckets and buckets (very similar today’s weather!). We were extremely concerned with the weather, being that their La Jolla Beach and Tennis Club wedding was going to take place on the beach for the ceremony and out by the pool for the reception. However, Mother Nature was on our side! And boy, was it hot! The beach was lined with tons of people, and it made the perfect backdrop for Brett and Jake’s gorgeous day. Brett and Jake tapped us to provide décor for the wedding. We worked together with Brett’ s mother to include tons of personal touches, as well as a favorite of the Bride–eucalyptus! Isn’t Brett gorgeous? She has such a wonderful spirit! Brett and Jake, thank you for putting your trust in me and being an absolute dream to work with! 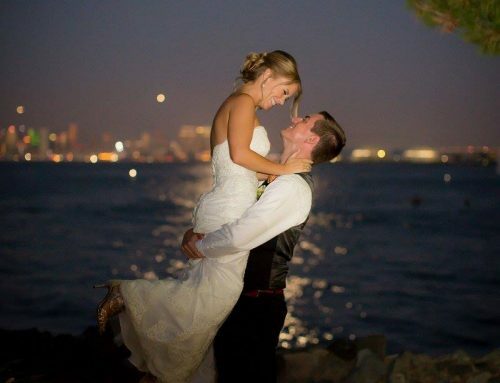 Beautiful feel of La Jolla beach wedding! great work and gorgeous capture of this wedding! Beautiful wedding!! I just loved the beach arrangement done. It’s like a dream wedding which every girl desires to live it. Thank you for the sharing such a lovely post! !